We are a group of people involved with an important project in a small Polish town Szczekociny. We are dedicated to the mission of reviving the memory of the town’s Jewish residents who, before the war, constituted approximately half of the entire population. Sadly, the war obliterated not only most of the people themselves, but their religious and cultural places as well. As in many other similar places which history proves, here also the Polish residents completed the Nazi objective by destroying the remnants of the Jewish presence in their town. New generations were born into the town, and the memory of the Jewish history was slowly eradicated from the collective consciousness of the townspeople. In 2004 one of the survivors, Izyk Mendel Bornstein, visited Szczekociny with his family to show them his roots. 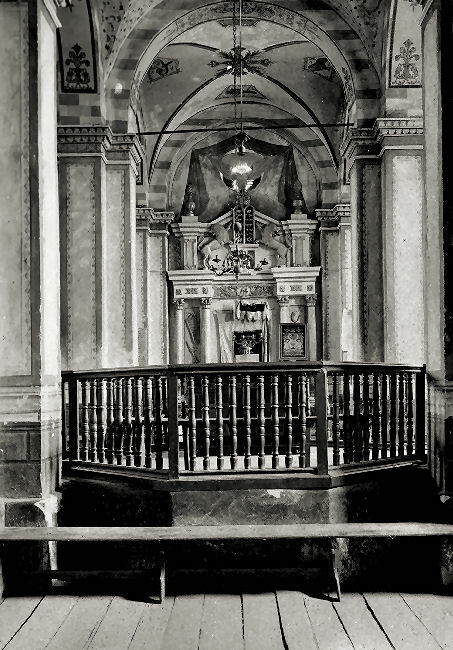 They discovered that the synagogue was being converted into a restaurant, and both Jewish cemeteries had bones dug out; a factory, a private house and public toilets was built on top of them. The family decided to act against all odds. The places now belong to private owners, and there were limitations as to what could be done. Nevertheless, the main aim was achieved, and the toilets were removed from the holy ground. At the same time, the teachers and students from the local secondary school started their project, entitled “Jews from Szczekociny: People, Places, Memory.” As part of this project's activities, a session devoted to the history of Szczekociny Jews was organized, together with doctorates from the Jagiellonian University, and the fruit of their research work is a book under the same title as the project. The students' activities focused on interviewing the survivors, having workshops for younger students that educated them about the town’s past and taught them about Jewish culture and traditions. Another step thought about that would bring back the town’s memory of its once Jewish populaton is the creation of a website, which will be devoted to Jewish Szczekociny, both past and present. The website is currently under construction. Last June Szczekociny held its first Festival of Jewish Culture in the presence of survivors and their families. It was organized as a joint project of Poles and Israelis in hopes of uniting the two cultures. In his speech, Yossi Bornstein, who had been appointed Chairman of the Szczekociny Jewish Organization, said: We are not interested in perpetuating the disputes and the hatred that we endured in the past. We want to start a new page of human relationships between Poles and Israelis, Christians and Jews together with co-operation amongst the youth. 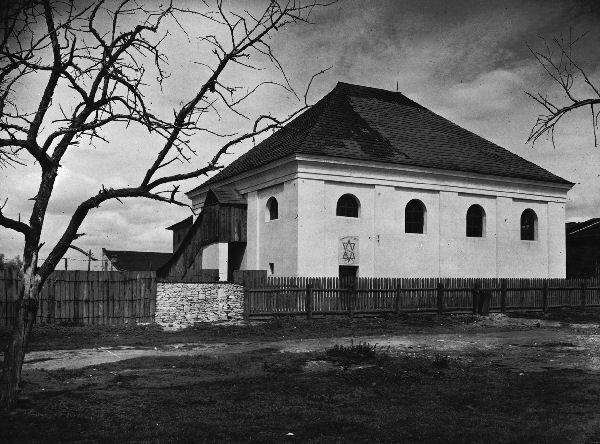 The current mission is to build a monument devoted to the Jewish population of the town. There is an official agreement, and money for this project is still being collected around the world. In the USA, where Rabbi Izyk Mendel Bornstein lives these days after having moved from Israel, he gives lectures that include the story of his life, as well as a showing of a film that was made by a fourteen year-old pupil. “The Spirit of the Survivor” is a documentary of Sean Foer who videotaped the testimony of a survivor. Sean won both state and national awards. The film is used not only to raise money for the monument, but also to spread the awareness of Holocaust, especially among the young generations. The film can be found on the YouTube website at http://www.youtube.com/watch?v=8qlAy2sqo7Y. 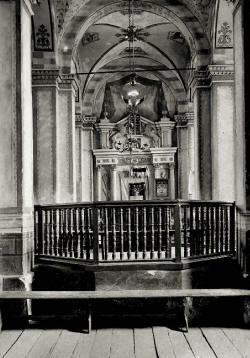 We still have hopes that the owner of the synagogue will change its usage from a restaurant to a more cultural object. We have other ideas about how this building may be used, but unfortunately we cannot do much about it at the moment. Currently we are bringing to life a project called ReBorn Roots. The aim of this project is to revive Jewish culture mainly through contacts with young people, as well as the translation and publication of the stories of the survivors, also their memories of their lives in pre-war Szczekociny. Our aim is that this project will grow and be active within the whole of Poland, that it may unite the young people of both countries – Poland and Israel--and that it might encourage them to work towards discovering their roots and more about the past. The atmosphere in the town is changing for better, and there is a growing interest in the past, especially among the younger generation. We hope to succeed in organizing the next edition of the festival this summer, hopefully with the laying of a corner stone for the monument within the grounds of the old Jewish cemetery, as well as to continue with a number of activities that will bring back Jewish life to the town. 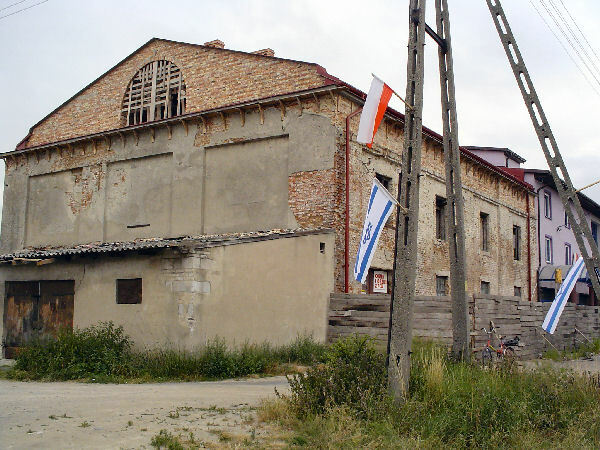 You can read the story of Yossi’s father and their arrival in Szczekociny in the blog of another survivor’s son, Daniel Zylbersztajn at http://danielscounter.blogspot.com/2008/01/szczekociny-family-mission-to-revive.html. To make a donation to the Szczekociny Project so that we may build a monument, please send your check to American Friends of Kedumim, P.O. Box 55, Union, NJ 07083-0055. In the memo area of your check, please write "Yad Lezehava", the name of the Israeli Institution that coordinates the project. Copyright © 2008 Museum of Family History. All rights reserved. Image Use Policy.